Today at the launch event in Dubai Nokia Mobile officially launched the Nokia 8.1 which is the global variant of the Nokia X7 which was 1st launched in China last month. 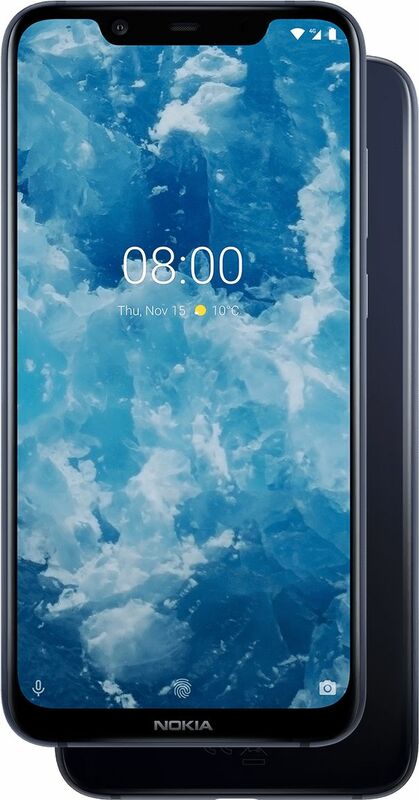 Nokia 8.1 is an upper mid-range smartphone from Nokia with powerful specs and a beautiful design. It comes in a modern glass sandwich design with elegantly curved glass and a strong 6000 Series aluminium body gives it the tough build that we expect from Nokia smartphones. The phone comes in Blue/Silver, Steel/Copper. Iron/Steel colour options. Nokia 8.1 is a mid-range powerhouse in all departments. It comes with the latest Qualcomm Snapdragon 710 processor which isn't a flagship chip but it definitely reduces the gap between the midrange and the flagship chipsets. It comes with 4GB RAM and 64GB Storage which can be further expanded up to 400GB via MicroSD card. The 6.18" notched PureDisplay on the Nokia 8.1 supports HDR10 and has a contrast ratio of 1500:1. Expect More from the display of Nokia 8.1. Nokia 8.1 comes with Dual Rear cameras at back with ZEISS optics. The main shooter is a 12MP 1/2.55" sensor with an f1.8 aperture and OIS and the secondary camera is a 13MP Fixed focus unit with an f2.4 aperture for Depth Sensing to help you in capturing some amazing bokeh shots. The front facing camera is a 20MP sensor with f2.0 aperture and combines 4 pixels into 1 Superpixel which means you can capture clear Selfies and Bothies even in low light. Nokia 8.1 uses both OIS and EIS for video capture to give a very stable video footage and Nokia OZO Audio will further enhance the overall experience with surround sound audio capture. 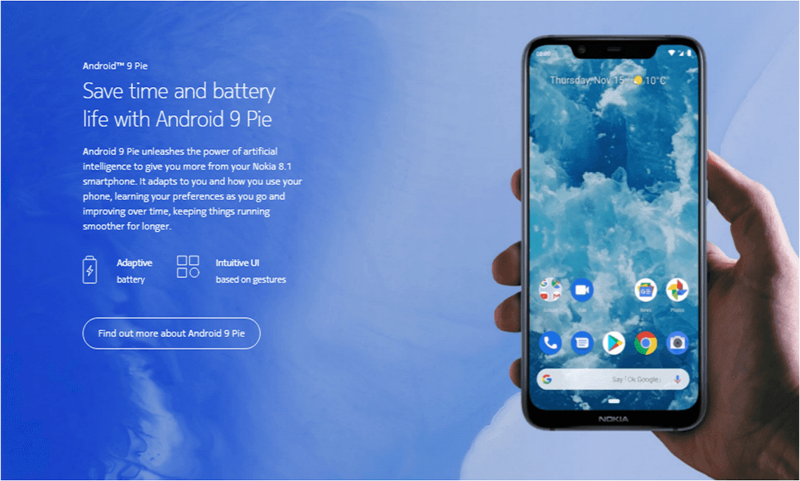 Nokia 8.1 is another Android One smartphone from Nokia Mobile and comes with Android 9 Pie out of the box. This means it can take full advantage of features like Adaptive battery and gesture-based app navigation. As this is an Android One device it will also get two major Android updates as well as three years of regular monthly Security updates. All in all Nokia 8.1 is a very good and well balanced mid-range smartphone from Nokia Mobile which has the qualities to take place of Nokia 7 plus and become the best value for money Nokia smartphone. Nokia 8.1 will be available for a global average retail price of €399. The device will go on sale from 15th December for 1499 Dirhams in UAE and rest of the Middle East region will get the Nokia 8.1 from 20th December. Other markets like India and Europe will get it soon. Check out the Official Nokia 8.1 Product page.